This plot of land, located in Strifi, Elefsina, has a total area of 12.5 acres. The property is outside the boundaries of the urban area plan and the defined land use is that of ‘Wholesale Trade’. 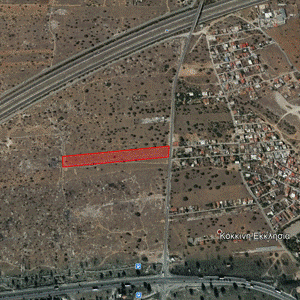 The plot is about 4 km away from the town of Elefsina and access from Nato Avenue is particularly convenient.